This still life represents my first time painting flowers. The design and layout was handled by another artist. I probably would have done some things differently. Nevertheless, it was a useful exercise. 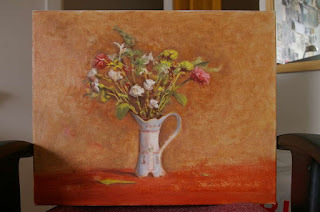 This is another recent oil sketch. The model was available for the short gap between Christmas and New Years, so I had to work quickly. 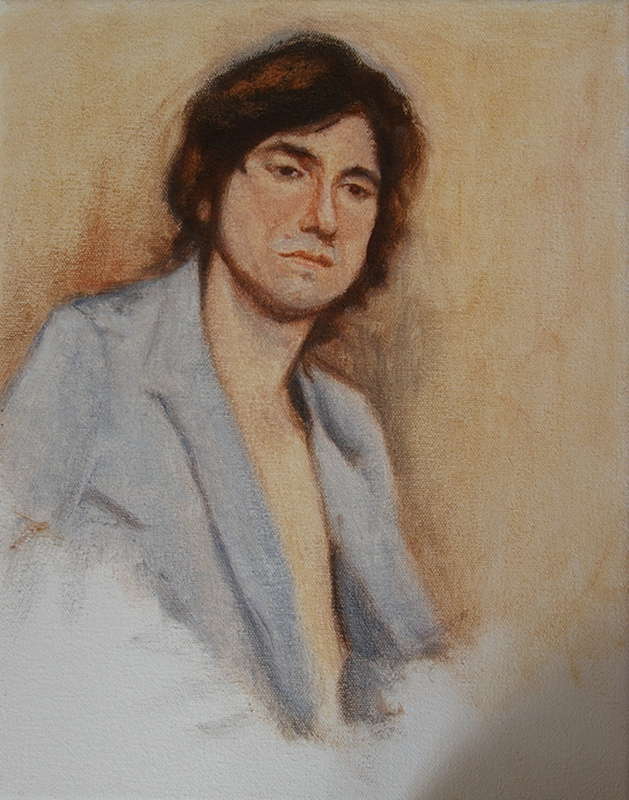 This portrait developed a pensive expression from the beginning.